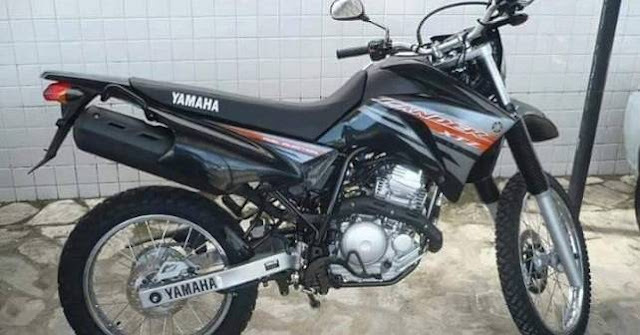 AutoX has got some spy pictures and the spec sheet of Yamaha Lander – a 250cc offroader – which might change the adventure motorcycling scene in the Indian market. For the longest time Indian enthusiasts have been asking for an able offroad motorcycle which has enough power and torque. Hero Impulse tried to encash the market which was then unexplored, yet maturing at a slow rate, but the inadequate power discouraged many such potential buyers. Well, it seems that Yamaha has decided to throw its hat in the ring with its Lander – 250cc adventure motorcycle – which already exists in many international markets including Brazil. We at AutoX were told that Yamaha had been testing some of these motorcycles from some time, and recently we managed to get hold of some of the pictures of this motorcycle. According to the pictures, the motorcycle looks highly promising and sturdy with its massive ground clearance and an uplifted exhaust. AutoX also got hold of the spec sheet of this soon-to-be launched highly promising offroader. The bike will be powered by a 250cc, single-cylinder unit which will deliver 21bhp of power and 21Nm of torque through a five-speed gearbox. The spec sheet also claims that the top speed of the Yamaha Lander will be 135km/h which is very impressive if you ask me. Telescopic forks at the front with a travel of 240mm, and a monoshock at the rear with a travel of 220mm mean that this bike can be taken straight to a dirt track from the dealership. The bike will have a weight of 130kgs (dry) and will come with an electric start as a standard option. Our source also claims that the price of the Yamaha Lander will be kept at 1.25lakhs (ex-showroom).